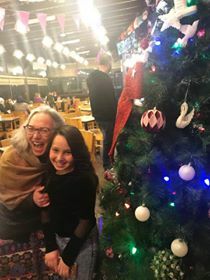 As I begin publishing my first blogs from this year’s trip to Israel and Palestine, I realize I am excited to share some of the voices of the people I meet here. Here are a few from my first few days in Jerusalem. I was in such a rush today to pick up my grandson while my daughter is at school, and get to my class on time, that I forgot to get money for the bus. So I just threw in 50 shekels instead of 75 and ran off the bus. I didn’t even thank the bus driver who was so nice to me. I was so upset by my forgetting to thank him and tell him I had forgotten my money that I couldn’t teach my class on exile. I was in exile from myself. (Spoken in Arabic and translated by his uncle Sami who accompanied him in the ambulance from Gaza and his hospital roommate, peacemaker Haj Ibrahim, in Muqased Hospital). Two weeks ago I worked my shift in the hospital. One week ago I was near death my blood platelets were near zero and the hospital I work in has no medicine, electricity or clean water. I came here under a special permit and they only allowed one person to come with me. Sami came because my father was denied a permit. This is the first time I met the rest of my family, from Haifa. It is the first time I am meeting Jewish people [me and my friends!]. 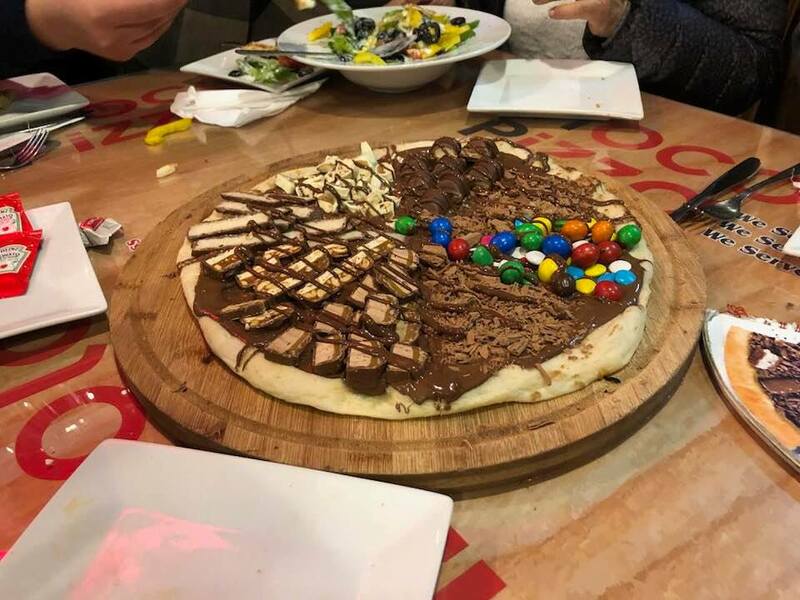 Chocolate pizza is the best! From a Canadian-Israeli Jewish woman, who is a teacher in a Palestinian school in East Jerusalem, looking out from the veranda of the apartment I am staying in: When I look out and see the Separation Wall, I feel sick. From a Canadian-Israeli Jewish man standing on the veranda with us- when I look out I feel grateful for the army because they make it possible for us to be together celebrating shabbat here.